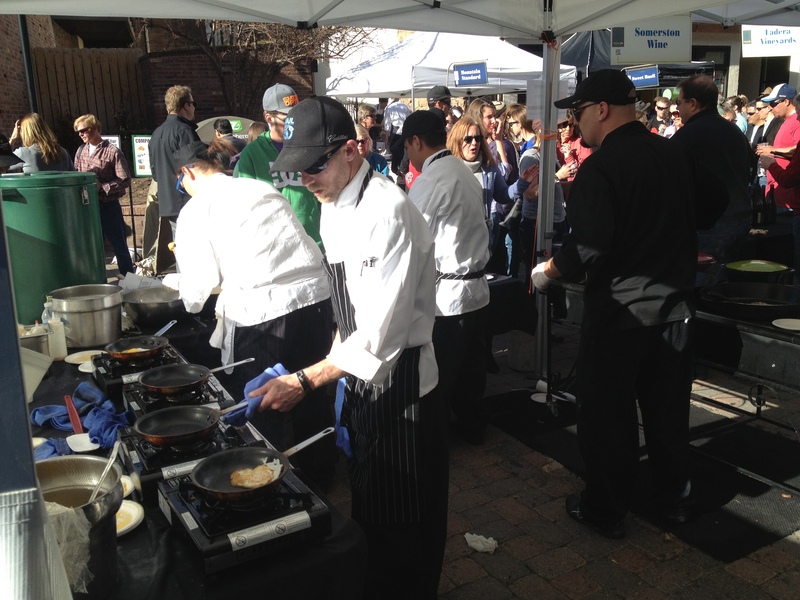 We attended a spectacular event in Vail last Thursday – the Lamb Cook-off which is a part of the Taste of Vail. 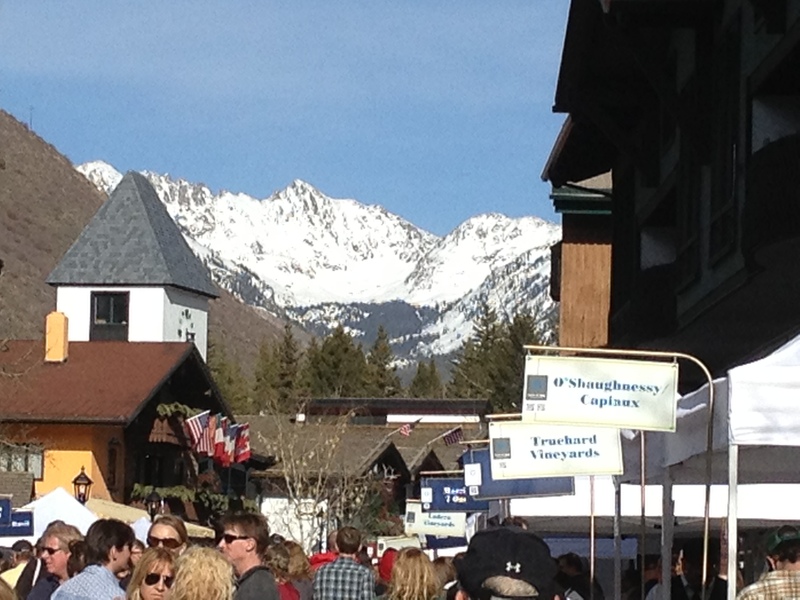 It was held in Vail Village. 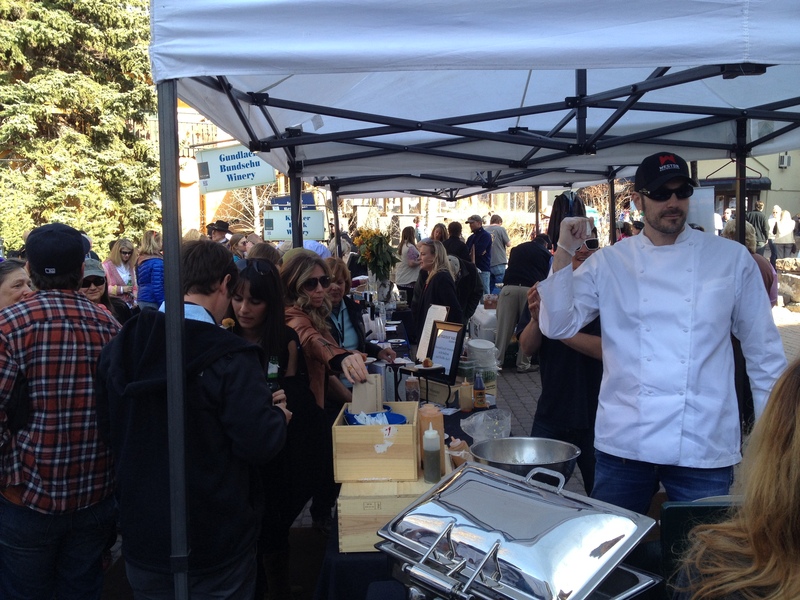 Tasty lamb treats were offered by local restaurants as well as wine tastings from all over the US. The lamb dishes were absolutely delicious and the wine was excellent. It was an all-around special event. If you missed it, make plans to attend next year. 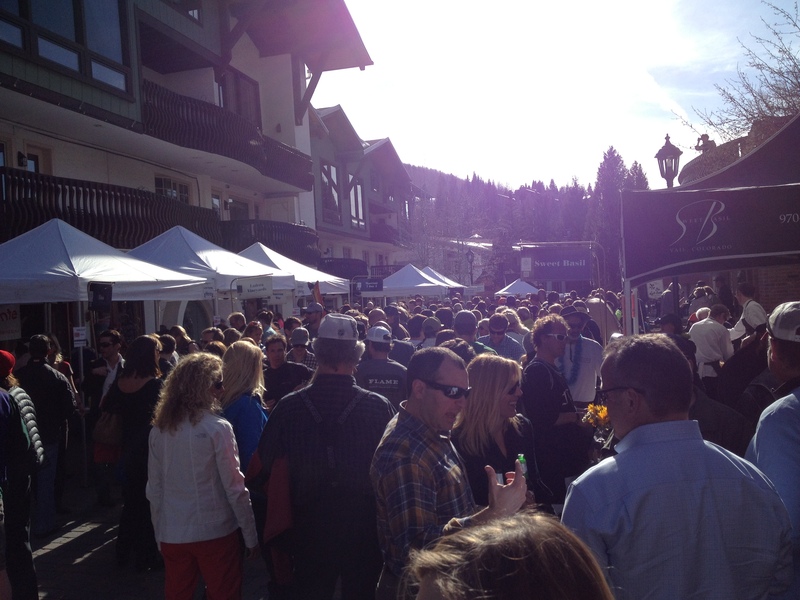 Recently Vail Resorts announced the new season pass line-up for the 2013-14 season. Visit www.epicpass.com for more information. New for this year, Vail Resorts is introducing the Epic 4-Day and the Keystone A-Basin Pass, plus the Epic Pass now offers unlimited access to Eldora (some holiday restrictions apply for employees) and five free days at Verbier Resort in Switzerland. Buy your Vail Resorts season pass before April 14 to lock in the lowest price available and get the most benefits. The Epic Pass™: Now including unlimited access to Eldora in Colorado and Five Days In Verbier, Switzerland. Ski as much as you want, whenever you want at $689 for adults and $359 for children (ages 5-12). The Epic Local Pass™: Perfect for people who can navigate a few more restrictions. Summit Value Pass™: Perfect for people who only plan to ski or ride Summit County, Colorado. New Keystone A-Basin Pass™: The best deal for unlimited skiing in Colorado. The Tahoe Local Pass™: The best way to access Heavenly, Northstar and Kirkwood Seven Days a Week. Tahoe Value Pass™: Best for people who can handle a few restrictions. 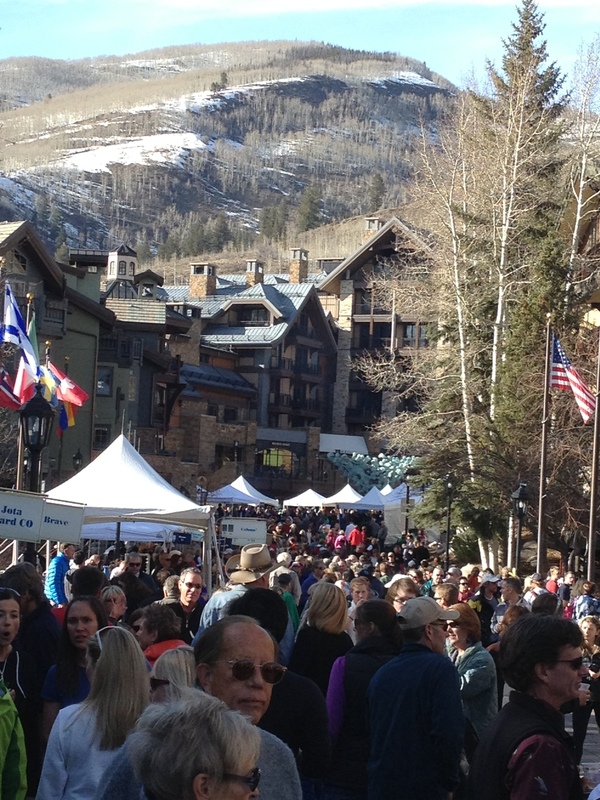 New this year, The Epic 4-Day™: Perfect for people who only plan to take one ski vacation. Epic 7-Day™: Perfect for people who don’t plan to ski more than seven days. 17 year-old Mikaela Shiffrin won another World Cup Slalom race in Flachau on Tuesday night, 1/15/13. Mikaela was 2nd after the 1st run. Starting 2nd to last, she put down the 3rd fastest time in the 2nd run. Maria Hoefl-Riesch, starting last after skiing the fastest 1st run, was well ahead after the 2nd split but crashed out before finishing. Mikaela won by 0.85 seconds over Frida Hansdotter and 1.10 seconds ahead of Tanja Poutiainen who was third. This is Michaela’s third slalom win of the season and extended her lead in the slalom standings to 81 points over Tina Maze, who finished 5th in today’s race. Michaela moved up to 5th in the overall world cup standings. She is now the top American in the overall world cup race. I just returned from the NAR Convention in Orlando. I was representing the VBR in my role as Chair-Elect. I felt the overall tone was much more optimistic than last year. There are many areas in the country where sales are significantly up year-over-year and these markets are also seeing significant price increases. As you all know, we tend to trail the pack but hopefully we will see some similar activity in the Valley. Here are some bullet points from the presentation by Lawrence Yun, Chief Economist for NAR. He was relatively optimistic regarding the national housing market but doesn’t seem to have much confidence in the government in making the right moves to address inflation, which he considers inevitable. Rents are going up across the country making home purchases much more attractive but also negatively impacting inflation. The Fed is more concerned with unemployment than inflation. The Fed’s Qualitative easing program will cause inflation (historically, whenever a country prints money, inflation rises). Budget deficits will cause inflation because more parties are competing in the lending marketplace. Inflation will cause higher borrowing costs for the government increasing the deficit, which in turn will increase inflation, which will increase the deficit…………………..
Inflation will increase mortgage rates. They will probably stay low for 3-6 more months but they should start to increase by the middle of next year. Home prices will appreciate 15% over next 3 years nationally. The Unemployment rate may have dropped slightly over the past few years but the Employment rate (the actual number of employed persons) has remained flat since 2009. The US will need to create 250,000/mo for 8 years to get back to where we were before the great recession. There will be more unequal wealth distribution because home prices are now appreciating and renters will be left behind.